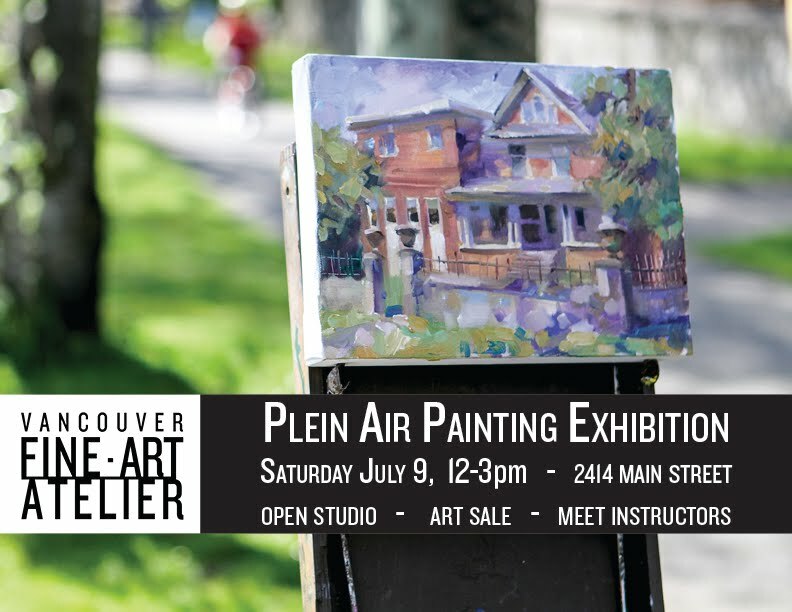 Our first Plein Air Week will end with students displaying their artwork at our Main Street studio in Vancouver. Please come and join us in viewing the artwork that will be created. Our summer classes kick off this Monday at 10am, and will continue throughout the next two weeks. Their will be snacks, music, artwork, laughter and friends, all ages welcome.